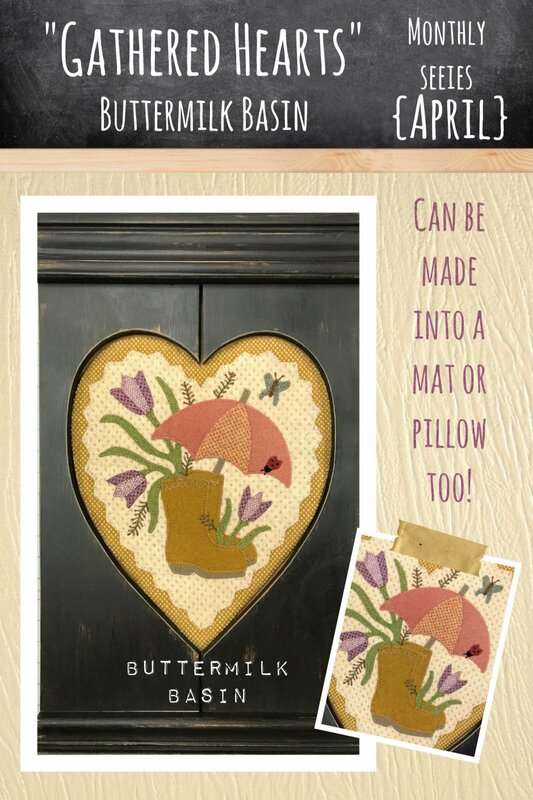 This is the button pack for the Gathered Hearts July mat. 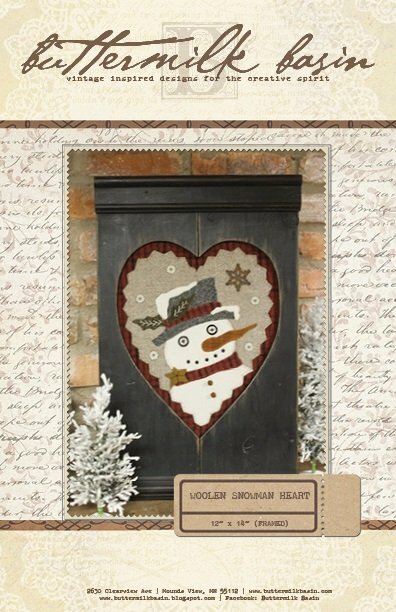 Next in the Gathered Hearts series is this beautiful July heart! The soft blues are gorgeous on this 12" x 14" mat. Frame it as we did (frames sold separately) or make it into a mat or pillow. Kit contains the pattern & wool. 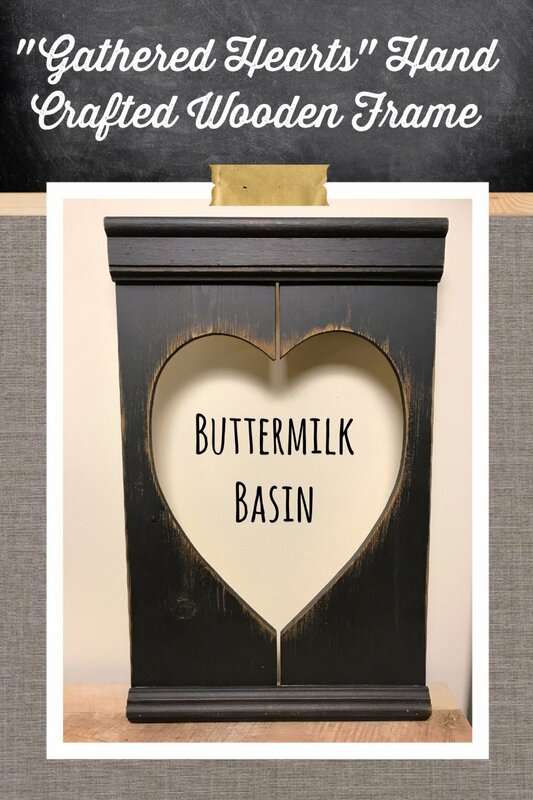 Next in the Gathered Hearts series is this beautiful July heart! The soft blues are gorgeous on this 12" x 14" mat. Frame it as we did (frames sold separately) or make it into a mat or pillow. Pattern only. 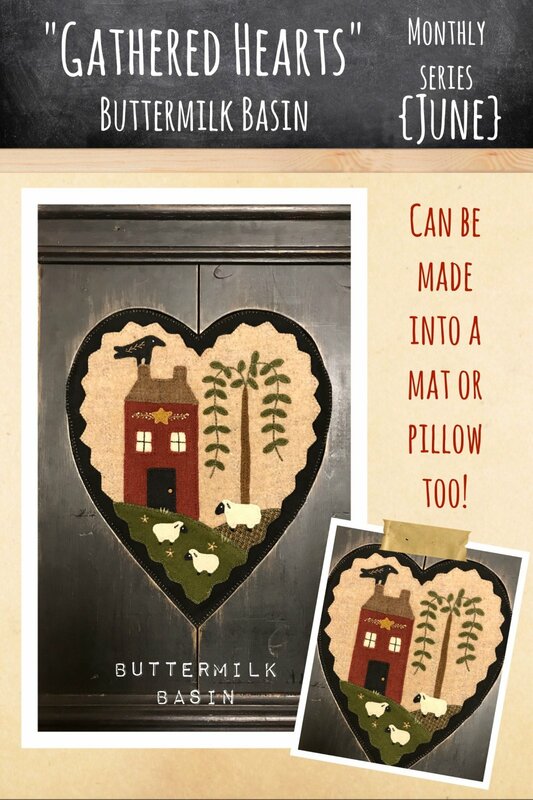 The Heart Frame has been handmade just for the Gathered Hearts series! The cost of the frame is $59.95. The frames outside measurements are 14.5" x 23.25". Please call the shop to order, as shipping will be based on the actual shipping charges. 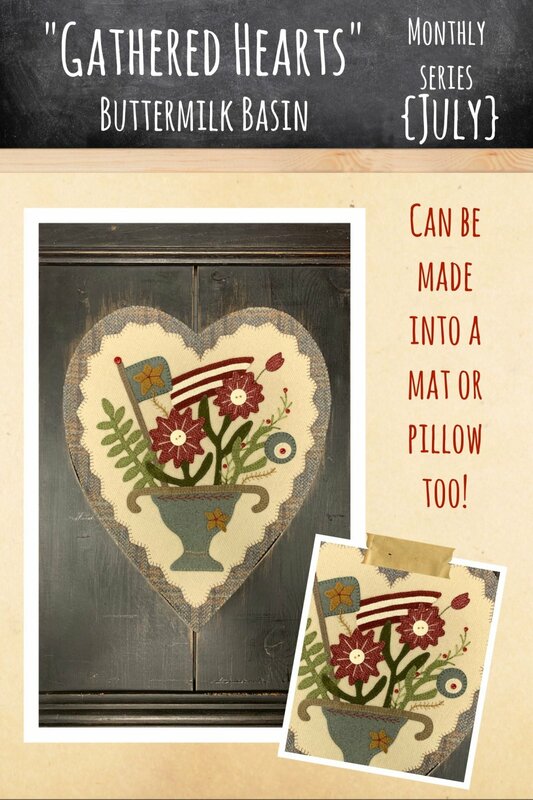 The March "Gathered Hearts" design is beautiful in creams, taupes, green and rust! 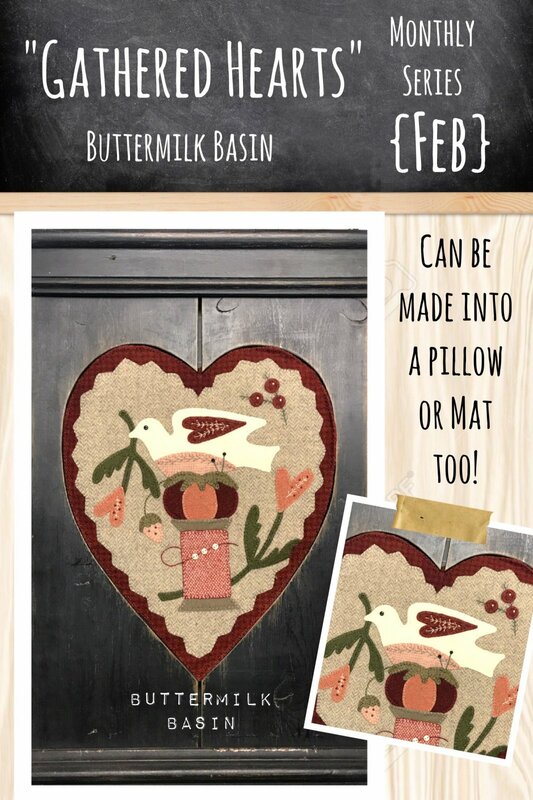 The heart insert is 12" x 14" and looks great framed, or can be made into a pillow or mat to enjoy in your home! The kit contains the wools to make the project! 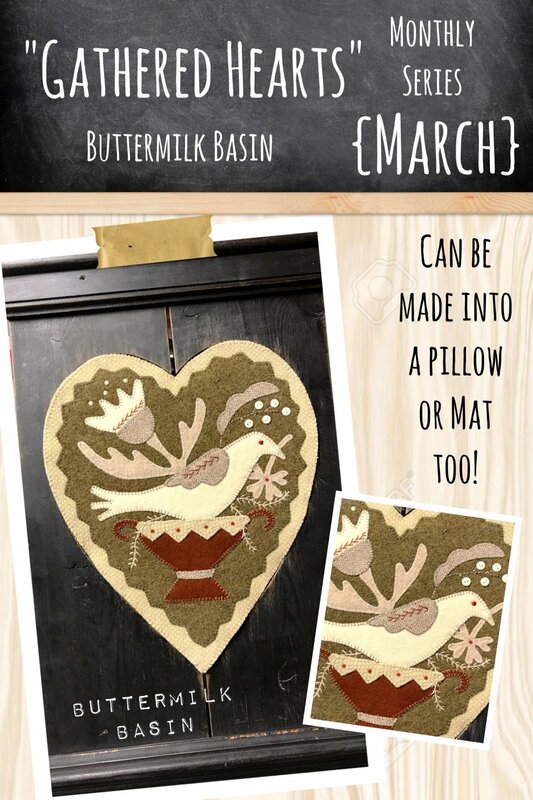 The March "Gathered Hearts" design is beautiful in creams, taupes, green and rust! 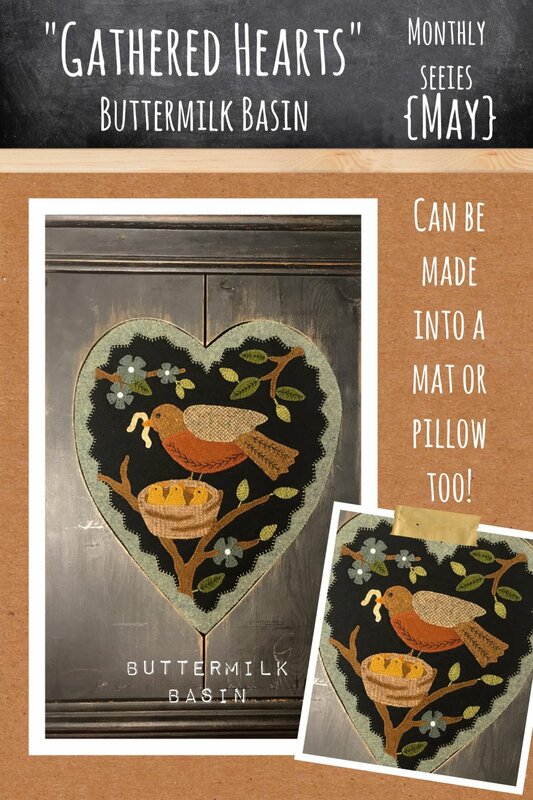 The heart insert is 12" x 14" and looks great framed, or can be made into a pillow or mat to enjoy in your home!